Founded in 1984 and inventor of the '' Field Programmable Gate Array '' (FPGA), Xilinx is a leading company in the development of programmable logic components, ensuring the success of the next generation of smart connected systems. Witekio's long-standing expertise in board support package development for Windows systems, and our global reputation for this skill, has naturally made us the official publisher of the Xilinx Windows Embedded Compact 7 and Windows Embedded Compact 2013 board support package for Zynq-7000. Since its creation in 1984 and the invention of Field Programmable Gate Array (FPGA), Xilinx has become indispensable in the field of programmable components. 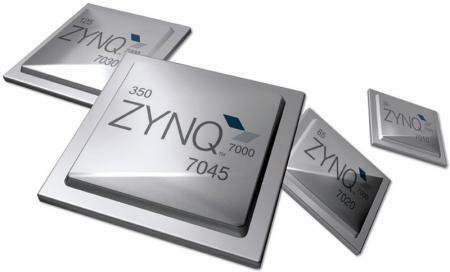 Its Zynq 7000 SoC platform optimizes energy performance by combining the software programmability of an ARM-based processor and component programmability thanks to FPGA on the same platform. The Xilinx Zynq-7000 platform for which we develop xilinx board support packages is equipped with an ARM®Cortex®-A9 dual-core processor and a powerful programmable logic circuit. The architecture of this platform allows embedded software development engineers to design and implement algorithms on a single processor, which is able to lighten the code and offer more energy-efficient solutions.